Splyce’s new support talks about joining the team, who he sees as the main threat, and his thoughts on League. Raymond “kaSing” Tsang’s return to the EU LCS has been a long time coming. After he left Team Vitality in the 2016 EU LCS Summer Split, kaSing spent some time away from League of Legends until he joined Red Bull’s Team RB in April 2017. There, he led a team full of rookies through the EU CS Summer Split in hopes of gaining promotion to the EU LCS. It was not meant to be, however. After impressing for most of the season, Team RB couldn’t find the win when it mattered most, failing to win promotion after losing to Schalke 04 in the EU CS Summer Playoffs on Aug. 6. The EU Challenger Series came to an end shortly afterwards, as Riot Games announced that the Challenger Series was being scrapped in 2018. For kaSing, Splyce represents a challenge, a chance to not only compete domestically, but on the international stage. After a long career full of successes and failures, he hopes to be one of the driving forces behind the team’s transformation in the offseason as he helps turn them into a true EU LCS title contender. Even through the good and the bad, kaSing doesn’t regret joining Team RB. KaSing was the only veteran on a team of rookies during his time on Team RB, helping the organization climb through the open qualifiers into the EU CS. Once the team failed to win promotion, kaSing became a top target for LCS teams looking to bolster their roster. Even with all these offers on the table, kaSing also considered moving to NA. But ultimately, he came to the belief that players who move to NA are rarely able to achieve much outside of that region. “To me personally, I always thought that if you go to NA you are going to become bad, no matter what,” kaSing said. It’s not necessarily a bad option to go to NA, he said, but if a player wants to get to the semi-finals, or even the finals at an international event, then he thinks that’s more achievable on an EU team. KaSing knows first-hand what the Worlds experience has been like. He’s played on multiple teams and shared in the success and failures of all of them, going to the World Championship in 2015 as a member of H2K Gaming and facing a relegation scare during his time on Team Vitality in 2016. 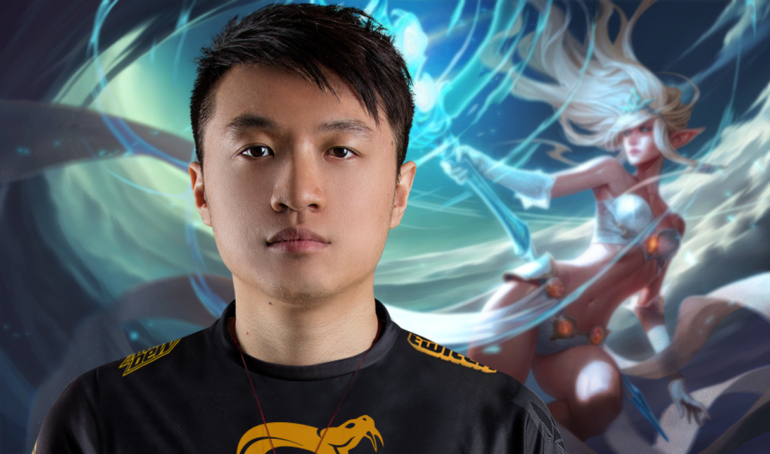 Now, KaSing will join a few familiar faces on his return to the EU LCS with Splyce. When kaSing joined Splyce, the team started to be dubbed the next big European super team, after they brought in Worlds semifinalist Odoamne, star jungler Andrei “Xerxe” Dragomir, and aspiring rookie Yasin “Nisqy” Dincer. KaSing isn’t expecting instant success from the team in their first split together and is looking at realistic and achievable goals instead. For Splyce to meet kaSing’s ambitions, the team will need to get used to the new rune changes that were brought into League in the preseason changes a few weeks ago. The change has dramatically altered the support metagame. Players had been using various champions in roles not originally designed for them, to varying success.